Up for Something (Almost) Completely Nuts? In a couple of weeks, a group of 50 or so people will set logic aside — logic that tells them they’d be nuts for spending the following 10 weeks (during the busy holiday season, their logical brains will dutifully point out) — and come together to create something crazy and big and challenging. When most the sane people are transitioning from a full day’s work to home to start winding down, these people will be driving to a theater in Orem, where things are just getting started. Some of them will be theater veterans, but some will be making a return to the stage after an extended absence, and others will be newcomers to the stage. But they’ll all be holed up together for hours running lines, learning songs, working out their blocking, sweating through some choreography and then somehow — amazingly — figuring out how to do all of those things at the same time. And they’ll keep doing it over and over again, until they finally make the drive home, crawl into their beds, and grab a few hours of sleep before getting up to do the whole thing over again the next day. And the next day after that. And a fair chunk of the middle of their Saturdays. For the better part of 10 weeks. Ten weeks. Does that sound like the sort of thing a logical person would do? On a voluntary basis? God bless the mostly nuts among us. Because out of all of their crazy hard work will emerge a beautiful tapestry, woven from threads of each of their hearts and souls and sweat and voices as they unite to share with the rest of us a lovely story about the events leading up to the birth of a special Babe in Bethlehem. And they will tell us this story in a way that no other collection of actors has before or will again. Along the way, among the blisters and the sore muscles and tired voices, I suspect some new lifelong friendships will be born. And there will be laughter (see this). And hugs. And probably a few tears. And they will warm the hearts of audiences who will come in from the cold and hopefully feel through the retelling of this story some important connections that the hustle of the season may have diminished, an important theme woven throughout this year’s show. If being a part of this craziness tugs at your heart at all, and you happen to find yourself within striking distance of Utah County this season, I invite you to tell your logical brain to shush for a minute and just see where this thing with the nuttier side of you goes by joining us for auditions sometime Sept. 24 & 25, anytime between 7 pm to 10 pm, at the SCERA. Details on audition requirements and rehearsal dates are here, but here are a few more details, if you are interested. All the above roles are singing roles. In addition, we have need for many other performers to be part of King Herod’s court, villagers, and members of the Heavenly Host Gospel Choir to back up the always amazing Daniel Beck, reprising his role as Gabriel from the movie version. If you read that list closely, you may have noticed something different for this year’s show. The modern-day family who shares this year’s story is in for a little more of an immersive experience in the retelling of the Christmas story. They won’t just sit back and watch the story unfold before them. They’ll get up and take active part. The Millers, consisting of a mom and dad as well as a daughter and son, have just arrived to spend Christmas Eve at grandma and grandpa’s house. As the Christmas story is retold, mom and dad Miller also step into the roles of Mary and Joseph in the musical portion of the show. The daughter and son play the parts of two of the wise men in the musical portion. And grandma and grandpa get into the spirit of things too by also playing the parts of Elisabeth and Zacharias. Also of note: the performance dates start and end earlier than they have in the past. We’ll open the Friday before Thanksgiving and close Saturday, Dec. 13, so you can have more of your December, which should hopefully placate your logical brain somewhat. But before all that, there is this little matter of auditions. Don’t think about it too much. Just come. Grab a friend or a family member or come solo or with your church choir — just come. Sure, it’s nuts. But not completely. 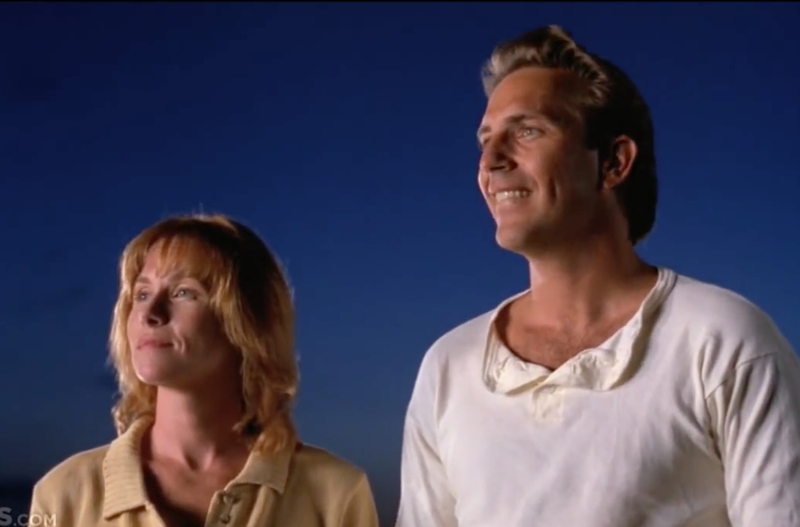 Tags: actors, Amy Madigan, auditions, field of dreams, Kevin Costner, stage. Bookmark the permalink.